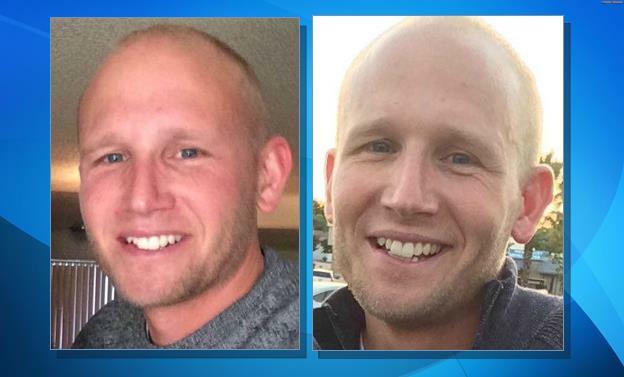 HERMOSA BEACH – Antelope Valley resident Michael David Vanzandt disappeared from the Hermosa Beach area this past Saturday, authorities said. Police and worried family members are seeking the public’s help in locating the father of three. 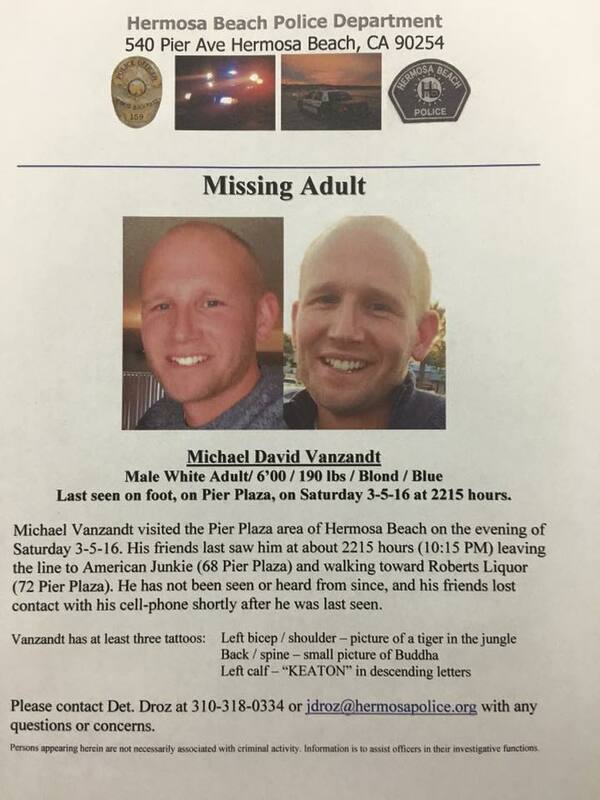 Vanzandt has not been seen since 10:15 p.m. Saturday, March 5, when he was visiting the Pier Plaza area of Hermosa Beach. His friends last saw him leaving the line to the gastropub American Junkie and walking toward Roberts Liquor, according to an advisory from the Hermosa Beach Police Department. Vanzandt’s friends lost contact with his cellphone shortly after he was last seen, police said. Vanzandt has blond hair and blue eyes, is 6 feet tall and weighs 190 pounds. He has tattoos of a tiger in the jungle on his left bicep/shoulder, a small Buddha on his back and spine and the letters “Keaton” in descending letters on his left calf. Anyone with information on the whereabouts of Michael David Vanzandt is encouraged to contact Hermosa Beach Police Department Detective J. Droz at 310-318-0334. 2 comments for "Local man missing from Hermosa Beach"
AdolphOliverMuff…your comment makes no sense. what does your comment even have to do with the case at hand? How many women would give up on their marriages if they knew that they would lose custody of their kids? His ex should be thinking about this.